I’ve mentioned this fun $100 Giveaway a few times here and there, but you only have a few days left to enter so I wanted to make sure you you didn’t miss it. And because if you’re like me, you’ll do at least SOME of your holiday shopping online this year. I joined Ebates a couple of years ago, and I could’ve kicked myself for not joining sooner! Especially because I was on a major “new smaller wardrobe” shopping spree right before that after losing so much weight.  Since then, I’ve earned over $2,000 via Ebates – which is just FREE MONEY that I wouldn’t have gotten otherwise. They literally send what they call “big fat checks” straight to me several times a year. That ^ screenshot was taken today. It doesn’t make sense NOT to use it! 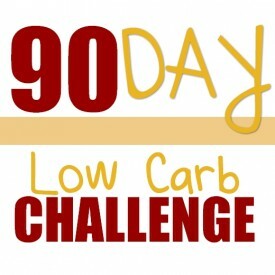 Especially now that you can earn cashback online AND offline. There are 7 ways to enter which means you get up to 7 entries in the giveaway. When I first started using Ebates about 2 1/2 years ago, I thought I was going to have to log in through their site or jump through hoops or something to make it work… and I’m NOT good at remembering to do things like that. 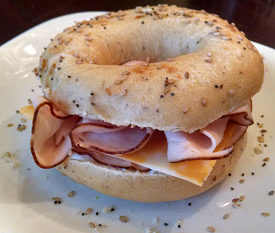 I discovered though that you can set it up so that it’s practically automated, and you never have to think about it to start earning your cashback rewards! 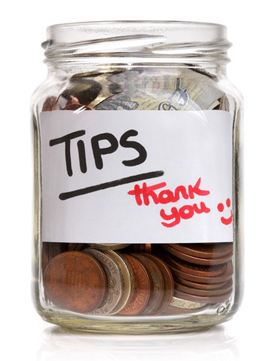 I have mine set up to deposit my cashback earnings into my Paypal account, and I get those payments automatically. I don’t even have to remember to “cash out” or anything. It’s just free money! You can have a check sent to you in the mail instead, just specify under Account Settings once you sign up for Ebates. You don’t have to remember to use it either. 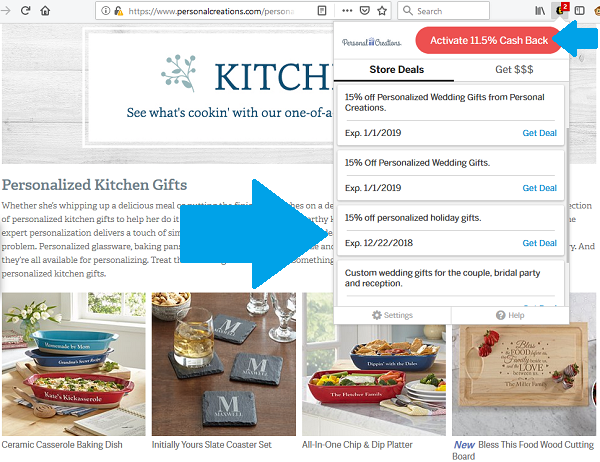 You can set it up on your browser as an addon or button and it will automatically alert you when there is a cashback option on a website you’re viewing. 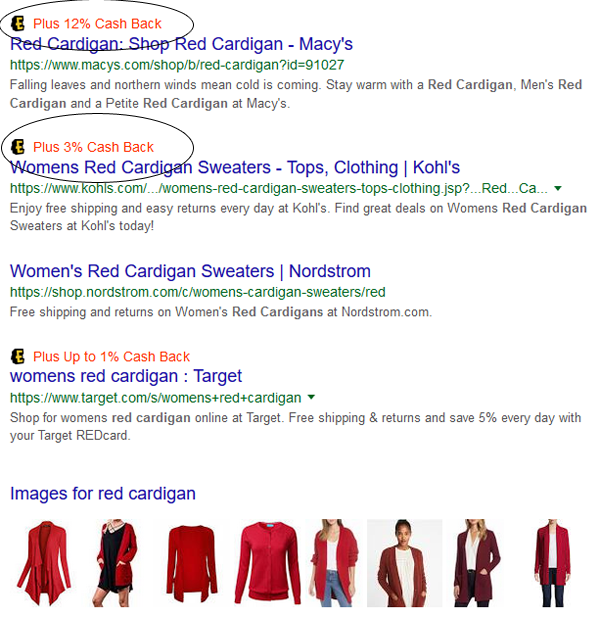 It will also show you which search results in Google have Ebates cashback options, which is really helpful when deciding where to shop! One of the things I love most about Ebates is that they alert me when there’s a coupon code I can apply when I’m shopping online, or when one of my favorite online stores is having a sale or has a promo code I can use. It works great when I’m searching online for something specific too. So this sweater is $29.98 at regular price, which is a great price. But with the sale and 30% off promo code, it’s only $17.49. Plus I get 12% cashback on my entire order from the site. If I only get the sweater, that’s another $2.10 off making it only $15.39 – almost half price! I also get 1% cashback with my PayPal debit card, so that’s another 17 cents I’ll get back – if I only buy the sweater. I would buy more to get free shipping, but I can pick this order up at the local store the next time I go out. 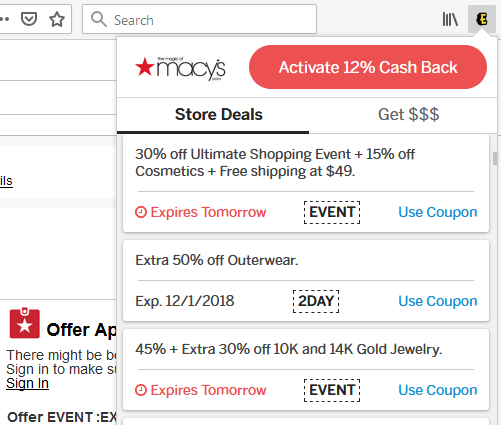 You only get 2% cashback from Ebates shopping at Macy’s IN the store, so it makes sense to order it online then pick it up at the store – to get an additional 10% cashback (12% total). Easy! That’s really simple too. You just set it up in your Ebates account online. What you do is link the credit or debit card you use when you’re shopping to your Ebates account, and you can add multiple cards if you use more than one, then when you use that card in stores you’ll get cashback automatically! I think you have to link offers to your card, but you can do that real easy online or even on the mobile app while you’re shopping. 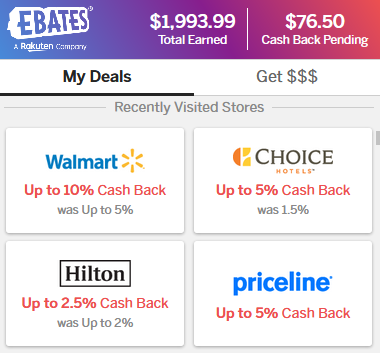 Ebates is the largest cash back site and they’re partnered with over 2500 of the biggest name brands and places you shop both online and offline, like: Macy’s, American Eagle, Walmart, Kohls, Amazon, etc. Especially this time of year with holiday shopping! You can get the cashback on top of Black Friday and Cyber Monday deals, holiday specials, etc. … and they offer 11.5% cashback PLUS good discounts! Let’s say you spend $100 on personalized holiday gifts this year. 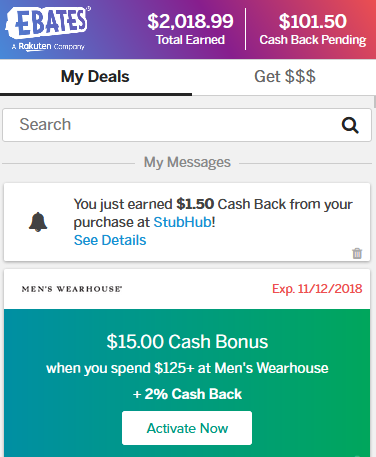 You’d save $15 with the 15% off deal in the Ebates app, plus get $11.50 cashback (11.5%) for a total of $26.50 off – or $100 worth of gifts for only 73.50. Those percents really add up! 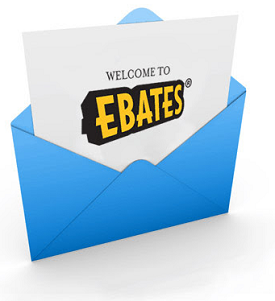 If you use Ebates online or offline, I’d love to hear about YOUR experience with it. Would you recommend it to a friend? I definitely would. I’m still kicking myself for not signing up sooner, lol… *sigh* -but I’m loving the cashback payments now! I’ve been using Ebates since 2010, it’s fabulous! Who doesn’t like free money? They’ve really improved it over the years and have made it even easier to get cash back.